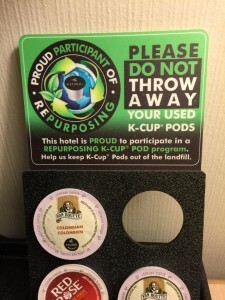 To finish up this first round of Face the Future blogs, we wanted to end on a positive note – because there are an awful lot of caring individuals and committed organizations out there, working hard to to help the environment. 1. Using a reusable water bottle – instead of disposable plastic water bottles – does make a difference. 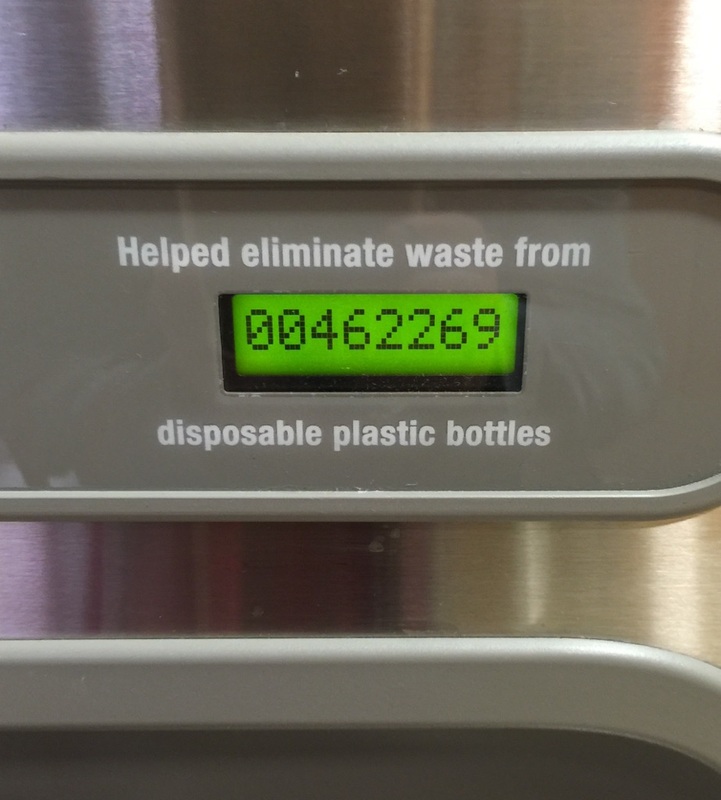 When filling up a water bottle at the water fountain in the Victoria airport, the display indicated that since the fountain was installed (about 3 years ago), the use of re-usable water bottles has prevented the purchase & disposal of 462,269 plastic disposable bottles. 3. After reading the Face the Future blog about reducing plastic bag waste, a reader sent us the link to a video with a powerful example of WHY we need to keep plastic bags out of oceans…thankfully, this story had a happy ending: Hero Fisherman Gives Plastic-Trapped Turtle A Second Shot At Life. 4. Another Face the Future reader responded to our blog about Mermaids’ Tears – the tiny plastic pellets that end up in oceans and along the shore – by sending us the link to a very cool story about high school students in Ontario who are helping address this problem: Mississauga Students win $50K for developing microbead filtration system. Right on! 5. And another Face the Future reader let us know of an activity that he and his partner are doing that is, quite literally, cleaning up the joint! They live in the country so on their daily walks along the highway, they pick up all the cigarette butts that have been tossed from vehicles. They put all these butts in a container and when they have enough, they ship the butts off to an organization that recycles them, such as TerraCycle. We will be blogging more about this topic in the future! Thank you SO much for taking the time to read the Face the Future blogs…we hope you have found them of use and/or interest. Then the next Face the Future campaign will begin in March 2017. If you’re not a Face the Future subscriber – but would like to be, here is the link to sign up to receive the blogs. Thanks again and have an awesome summer! 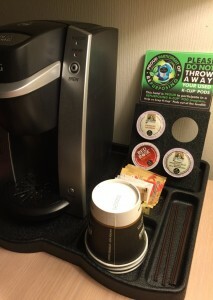 Face the Future is an on-line environmental campaign that raises awareness about how and why individuals can lessen their environmental footprint one step at a time. The 2016 blog series runs from Apr 22 to Jun 24. To receive the blogs via e-mail, here is the link to subscribe . Face the Future is an initiative of Pink Gazelle Productions Inc.
Mermaids may be mythical but their tears aren’t. 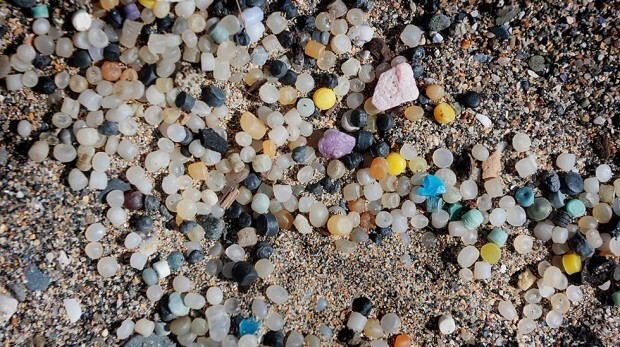 These tiny plastic pellets are wreaking havoc on our oceans. 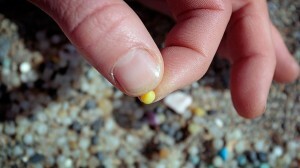 The pellets, which can resemble fish eggs, are the result of industrial and residential waste. More durable forms of plastic do not bio-degrade. They break down physically to a degree, but the remaining mermaids’ tears can persist for hundreds of years. 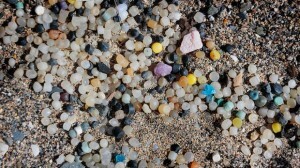 Mermaids’ tears, also known as resin pellets or nurdles, are used in the manufacturing of plastic products. Plastic trash — in the form of bottles, shopping bags, and other debris caught in fishing nets — is finding its way into our oceans. When sunlight hits the plastic debris, it releases chemicals and toxins and causes photodegradation, which breaks bigger plastic materials into smaller plastic particles. After it’s gradually broken down by sunlight into smaller pieces, the pellets find their way into chunks of seaweed and other floating garbage. Some of these pellets wash ashore, while others remain at sea. Plastic particles have been discovered on beaches around the world and increasing amounts of plastics are also being detected in our oceans. A study by Dr. Richard Thompson, of the University of Plymouth, found there were an estimated 300,000 items of plastic per square kilometer of surface water and 100,000 per sq. km of seabed. As you might expect, the impact of these pellets — many of which are smaller than a grain of sand — is not good for marine life. Marine animals are eating plastic particles on the seabed and off the surface of the water. And once one animal eats that plastic it — and the chemicals it contains — becomes part of the food chain and has the potential to be passed on to other animals. These mermaids’ tears are inedible, but they can fill up an animal’s stomach and cause starvation. Often sea birds will scoop them out of the water and feed plastics to their chicks, having fatal results. Once the plastics are unleashed on the oceans, it’s virtually impossible to clean up the mess and extract the pellets from the water. Fishing out the debris simply won’t work. Instead, the most effective approach is to prevent the plastics from making their way to our seas. That means reducing and recycling the plastics – in its many forms – in our lives. To find out more about Mermaids’ Tears – and what you can do to help – check out the Surfers Against Sewage Marine Litter Campaign. Lurking in the North Pacific Ocean is something more menacing than any great white shark or colossal squid. Although it’s unclear exactly how large it is, this beast is far bigger than either of these sea creatures and much more deadly. 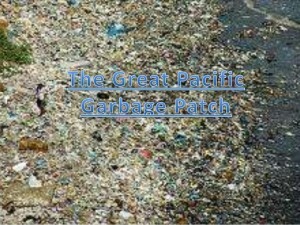 The Great Pacific Garbage Patch, a massive and sad monument to human waste, stretches for hundreds of kilometers in waters north of the Hawaiian Islands. Scientists are not sure of its exact size, but estimates range from the size of Texas to larger than the continental U.S. Given its location in the North Pacific Subtropical Gyre, which is made of slow-moving and spiraling ocean currents, and the fact it’s not a solid mass, the Great Pacific Garbage Patch is difficult to measure. It’s also not detectable from satellite imagery. 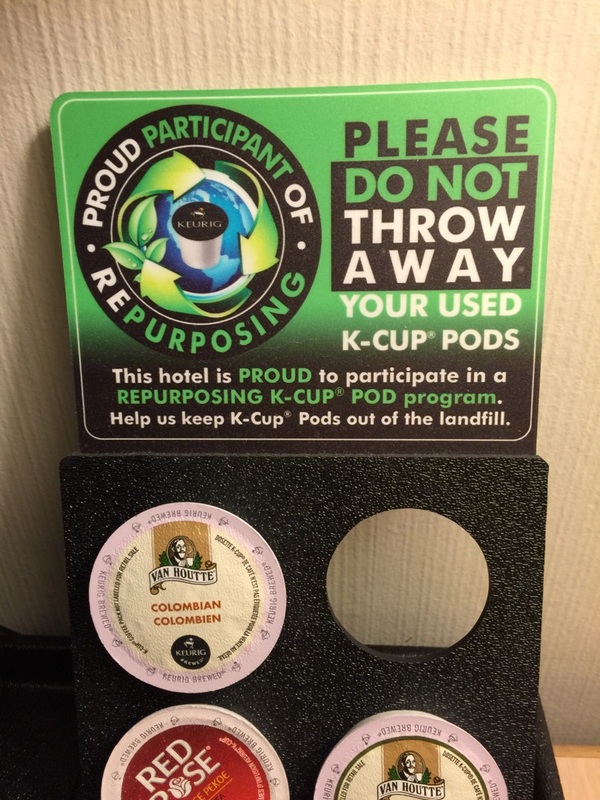 It’s been referred to as “Garbage Island” or “Trash Island” but these nametags are misleading. 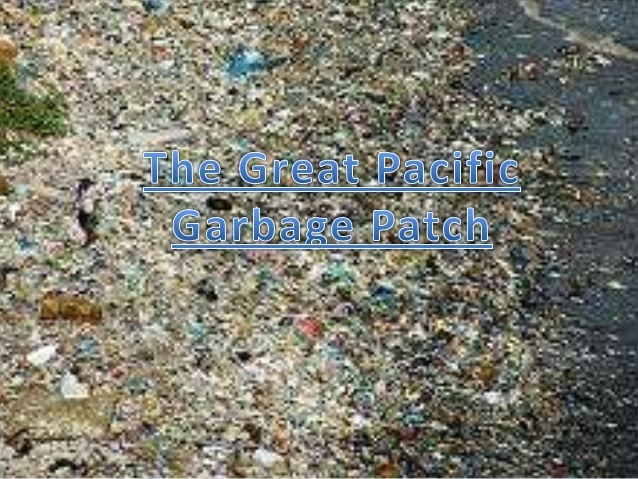 The Great Pacific Garbage Patch is more like a chain of islands, with some parts that are more visible than others because portions of the litter patch are slightly submerged and others are too small to see. 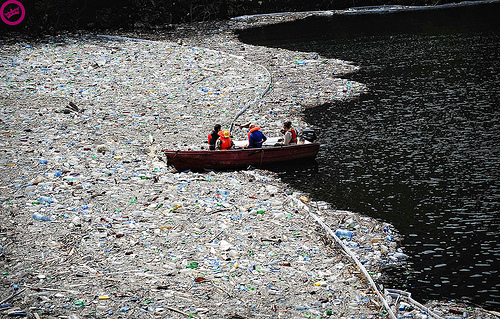 Sadly, the amount of plastic trash in the Great Pacific Garbage Patch has increased 100-fold during the past 40 years, causing profound changes to the marine environment (NBC World News, 2012). The simple answer is filth and debris, the main ingredient of which is plastic. Plastic bags, bottles, and other consumer products migrate to the Patch but don’t biodegrade. Instead, sunlight gradually breaks the plastics down into smaller pieces – known as plastic particulate – until they are microscopic in size. The Patch isn’t all plastic though. Fishing nets, steel shipping containers (and their various contents), metals, glass, and rubber all contribute to the problem. Most of these materials sink however, leaving plastic pollution to hover above. This litter Leviathan presents several dangers to sea life. 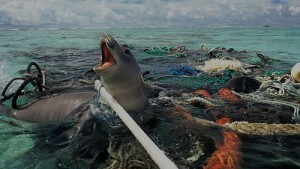 Discarded fishing nets entangle seals, sea turtles, dolphins and other animals, causing many to drown. In addition, some marine animals will confuse plastic bags with jellyfish and swallow them. This can result in suffocation or starvation. Meanwhile, smaller debris can prove fatal to sea birds that often mistake trash for food. After they scoop it out of the water, many birds feed inedible plastics to their chicks, leading them to die of starvation. Another major hazard is created when sunlight hits the plastic pollutants. This poses two significant problems. 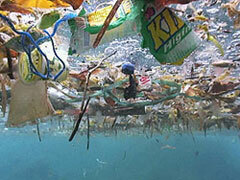 First, the sunlight releases chemicals and toxins from the plastics, which then leach into the water. Second, the light causes photodegradation, which breaks down bigger plastic materials into plastic particulate. Unleashed in the food chain, this plastic particulate can have devastating results when consumed by marine organisms. Given the sheer scope of the Great Pacific Garbage Patch and the funds required for such a major cleanup operation, hopping in boats and fishing out the debris is not a simple solution. And the discovery of a similar garbage patch in the North Atlantic Ocean means several major cleanup operations would be needed to help address the problem. 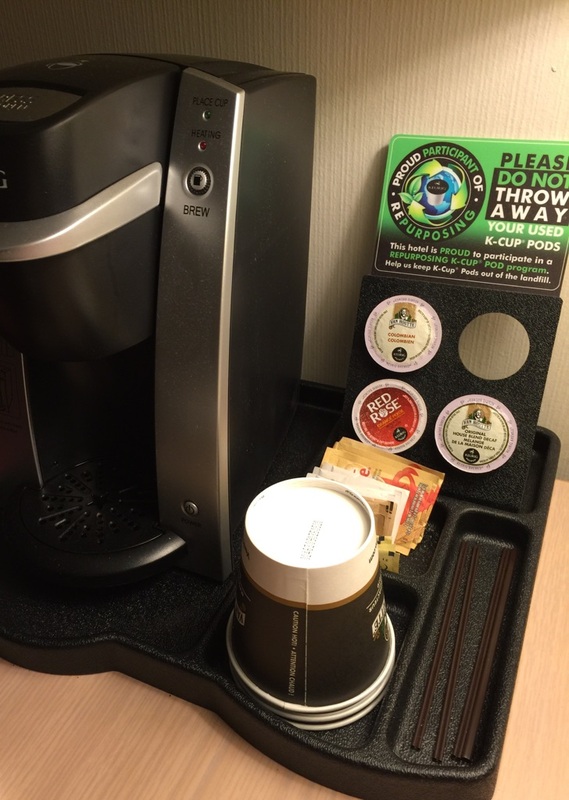 A more practical approach – at least to start – is to reduce the amount of trash we’re contributing at the source. This means reducing and recycling the plastics in our lives. 1. Use reusable water bottles and cloth bags instead of disposable plastic water bottles and plastic bags. 2. Assess whether you need to use plastic bags as garbage liners – if you don’t need to use them, then don’t. 3. If you do prefer to use plastic bags for garbage, then perhaps re-use other plastic bags instead of purchasing new ones just for the garbage. Large dog food bags as well as soil and compost bags work well. 4. Recycle plastic bags and water bottles versus throwing them in the garbage, where they will end up in the landfill…or the oceans. 5. 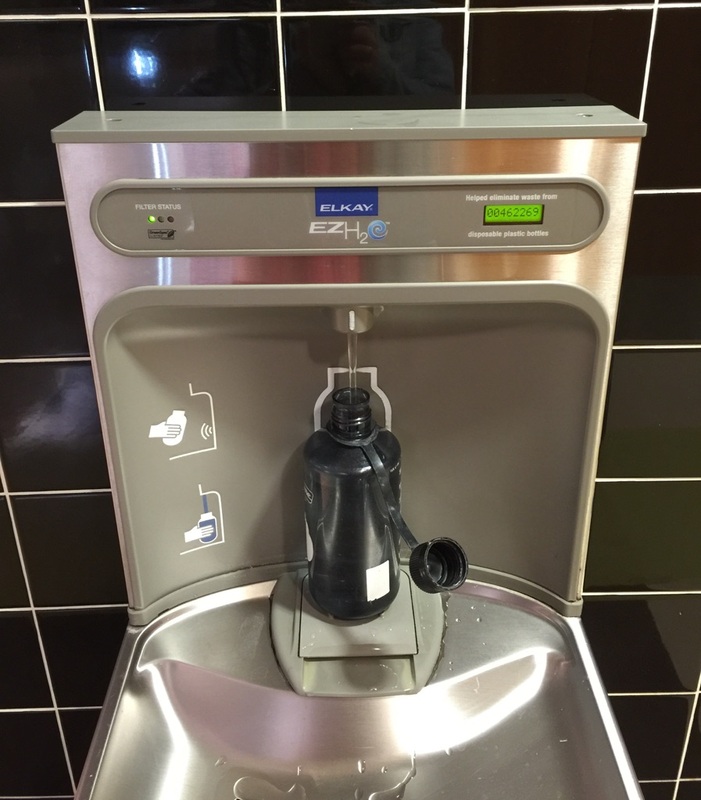 Talk to others about plastic bag and bottled water use (or send them Face the Future blogs!) and encourage them to cut down. 6. Consult companies and municipalities about the amount of plastics they use and their recycling programs. 7. Try to purchase fewer products that come in plastic packaging…the best way to reduce plastic waste is to use/purchase less of it in the first place. If we each take these small steps, perhaps we can at least start to slay the litter Leviathan of the deep blue sea. With World Oceans Day coming up on June 8th, now is a great time to bring awareness to the many significant issues threatening the health of our oceans. In the meantime, if you would like to learn more about the Great Pacific Garbage Patch, check out “Breaking the Plastic Addiction: TEDx Great Pacific Garbage Patch” on the Huffington Post blog.